The Japanese launched an air raid over Singapore on 8 December 1941 and began a 70-day offensive on Malaya and the island of Singapore. 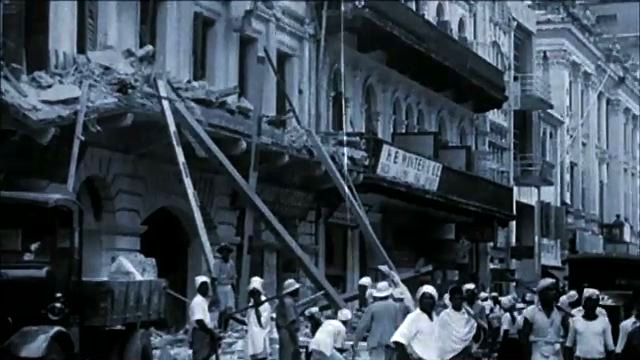 Subsequently, air raids were frequent and parts of Raffles Place and Chinatown were usually the hardest hit. 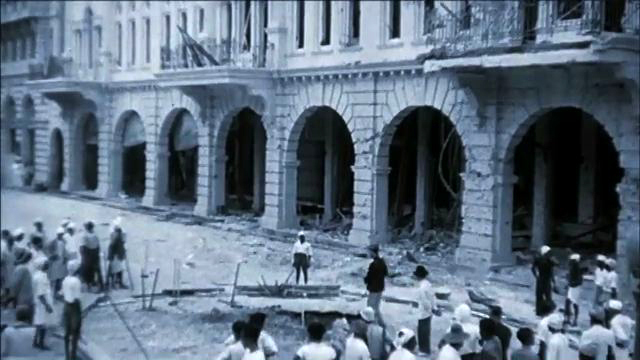 The following archive footage film-stills from the documentary feature the aftermath of the incessant bombing that would occur between 8 Dec 1941 and the surrender of Singapore on 15 Feb 1942. Near Chulia Street where the Overseas-Chinese Banking Corporation (OCBC) building was. The OCBC building then was merely six storeys high and had a Chinese-style roof. One of the bombs fell right in front of the Robinson’s Department Store at Raffles Place. 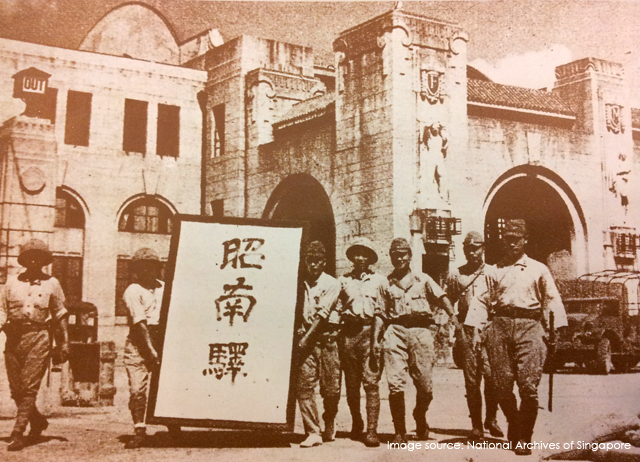 The Japanese 25th Army landed in Singapore on the 7 Dec 1942 and began a 1-week siege with the city center of Singapore as their eventual target. 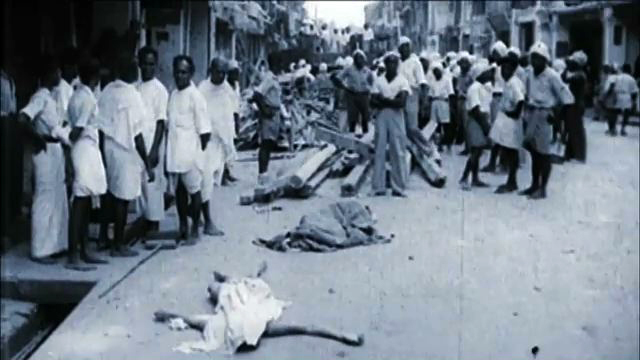 They approached from the northwest and north of the island, passing outlying suburbs and villages and made their advance along major roads that lead to the city of Singapore in the south of the island. Japanese Troops posed triumphantly in front of the Railway Station, 1942. “昭南驛” translates into “Syonan Station”. Three models posed somewhat awkwardly on a table in the Railway Station, 1969. 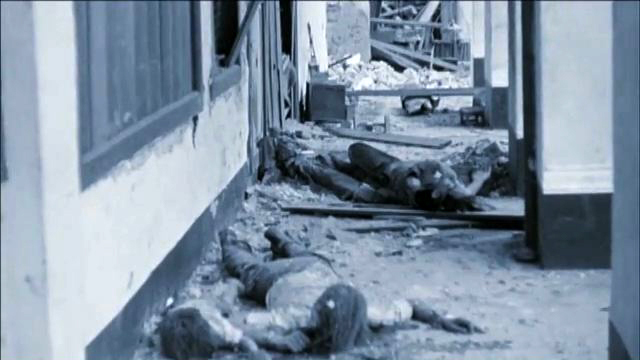 (18 Oct 2012: Update – The people in the film-stills below could have been Eurasians who had gathered at SRC on 3rd March 1942 by order of the Nipponese Defence Headquarters for registration and screening after the fall of Singapore. Those who had registered would be given an armband as a mark of identification. Several of those who had served in the Straits Settlement Volunteer Force were mistreated and released after being classified as “enemy aliens” on parole. The Singapore Recreation Club at the Padang. 1931. 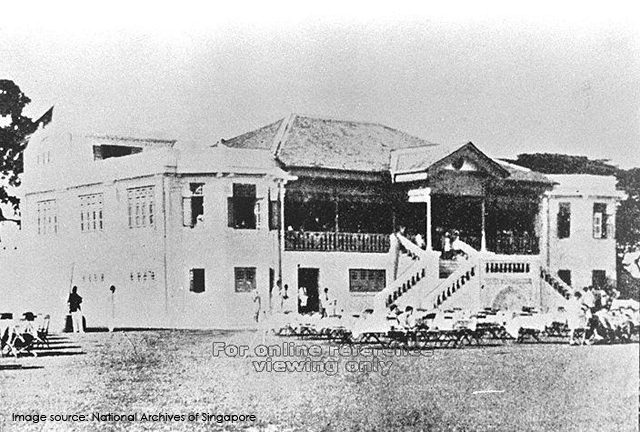 The Singapore Recreation Club was founded by a group of Eurasians in 1883. It is one of the oldest social clubs still operating in Singapore today. 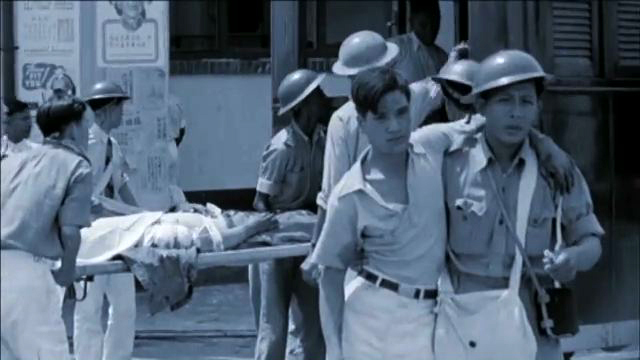 The SRC was also an Eurasian-only social club until 1963, when membership rules were changed to allow people of all communities in Singapore to join, with the intent of becoming an “inter-racial club”. Well, to be honest, I have no idea where the Indian Army in Singapore trained to prepare them for the Japanese invasion in 1941-42. But, the documentary do feature an amusing set of archive footage of Indian soldiers smoking the hookah, and I just felt it appropriate to present them here, as a somewhat solacing end to this series of war-time locations from the archive footage found in the “Singapore 1942: End of Empire” documentary.